Nothing gives peace of mind like a strong sense of security. 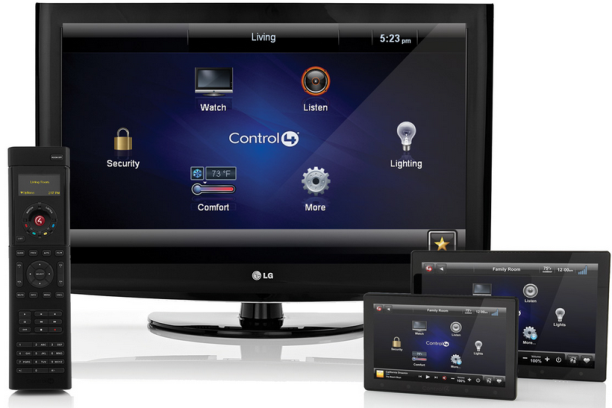 Telesis Electronics can provide you with the right home security system to protect your family and your property. Whether that comes from a closed-circuit television system, an alarm system that's monitored 24/7/365, or both - Telesis can provide security bliss! Home surveillance solutions from Telesis Electronics can provide security cameras throughout your home that can be integrated into a whole-house video distribution system. Now, while watching your favorite movie, you can bring up a separate window on your TV to see who is at the front door or peek in on the baby's room while still snuggled in your bed! The practical and convenient uses of a home CCTV system go far beyond simple exterior perimeter monitoring to make it a necessary element in your overall home technology plan. Security systems integrated into a smart home set up by Telesis Electronics can allow amazing, live interactions with your home from anywhere in the world. A business executive that was traveling abroad had scheduled an appointment in his home for contractors to do some work. Upon the contractors’ arrival at his home, he was notified on his phone by the home. He then deactivated the alarm, opened the garage door, and monitored their movement through his home on his phone. When the workers finished, he closed the garage, set the alarm, and watched them drive away - all of this from Europe! Of all of the advantages that technology solutions from Telesis Electronics can provide, none is more important than the safety of your family and your belongings. That is why no home should be without the added security features that a monitored alarm system from Telesis can provide. We can install a variety of surveillance devices throughout your home that communicate with a base to notify the central station of alarms. Once notified, first responders are dispatched immediately. Now with the technology of a fully integrated smart home, there are additional security options. Each of these features builds out a surveillance system that can keep your family and your valuables safe. Whether you’re upstairs in bed and want to make sure you locked the front door or you’re out for the night and want to check on the kids, a smart home enabled security system will provide options to help you feel safe. Telesis offers 24/7/365 peace of mind. Although you cannot put a price on safety, when Telesis Electronics provides the security solution, it's nice to know that the price is reasonable! Whether you're ready to install a home security system or simply want more information, request a consultation by calling us at (248) 486-3720 today.